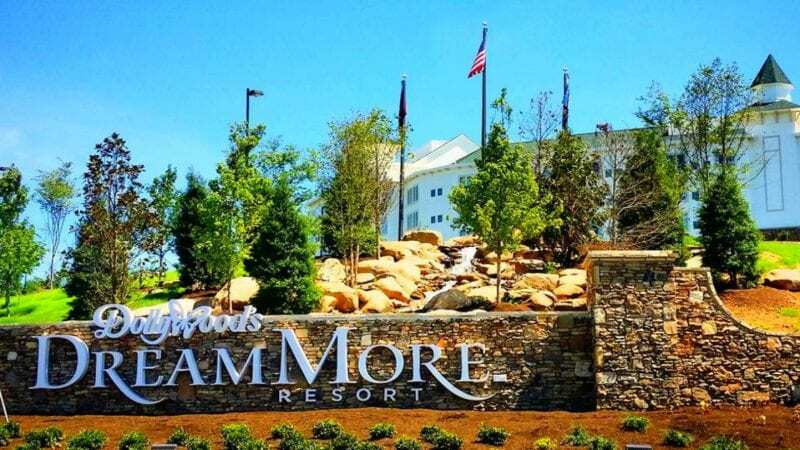 The Dollywood Company’s most anticipated project to date, Dollywood’s DreamMore Resort, opened its doors this summer, creating a new chapter in the famed company’s 30-year history. Dolly Parton’s dream of adding a resort to the fun and excitement of her Smoky Mountain theme park offering has come true. 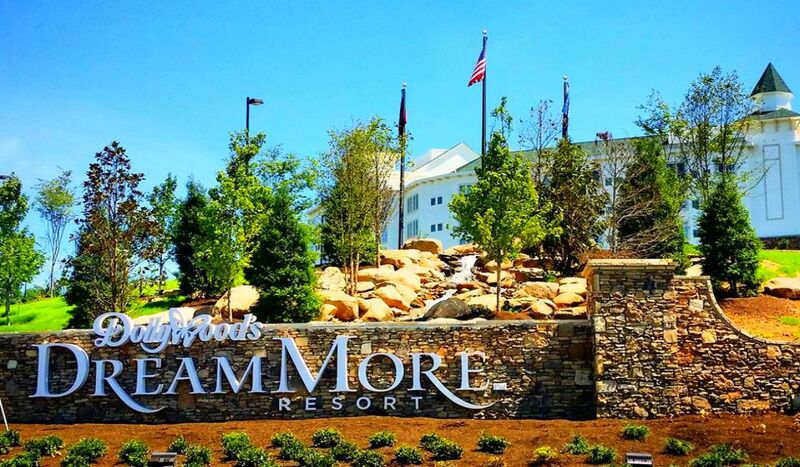 Our family was excited to visit this resort the week it opened – a personal dream come true! Dolly Parton has been dreaming all of her life. As a little girl growing up in the Smoky Mountains of Northeastern Tennessee, Dolly sat on the porch of her parents’ cabin, strumming her guitar and dreaming of becoming a rich, beautiful singer, songwriter, and entertainer, loved by millions of adoring fans. So she dreamed a little more, and she sang. And that dream came true. Then Dolly dreamed of giving back to the community where she was born and raised, of creating jobs for folks who really needed them, and of sharing the beauty, culture and heritage of her mountain home and family with all of her adoring fans. 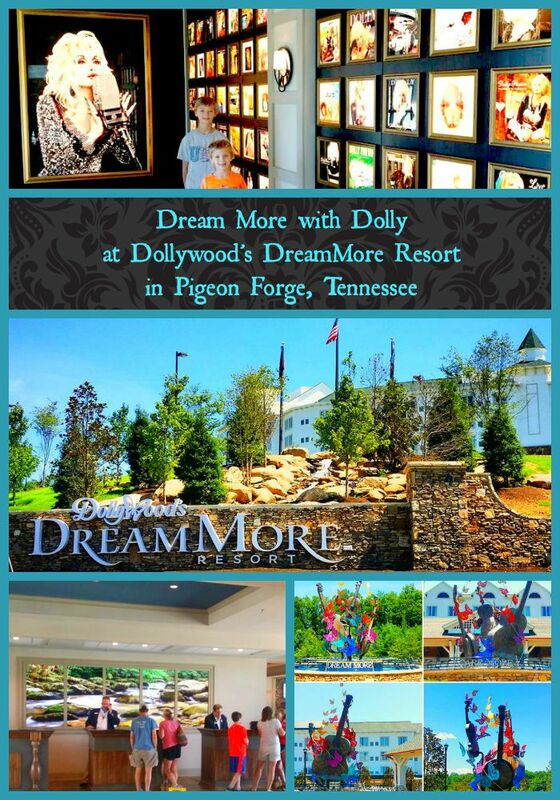 So she dreamed a little more, and she built Dollywood Theme Park in Pigeon Forge, Tennessee, her Smoky Mountain home. And that dream came true. Then Dolly dreamed of inspiring others to dream more themselves. She received an honorary doctorate degree from the University of Tennessee, and gave an uplifting commencement speech, encouraging others to keep dreaming, keep doing…. 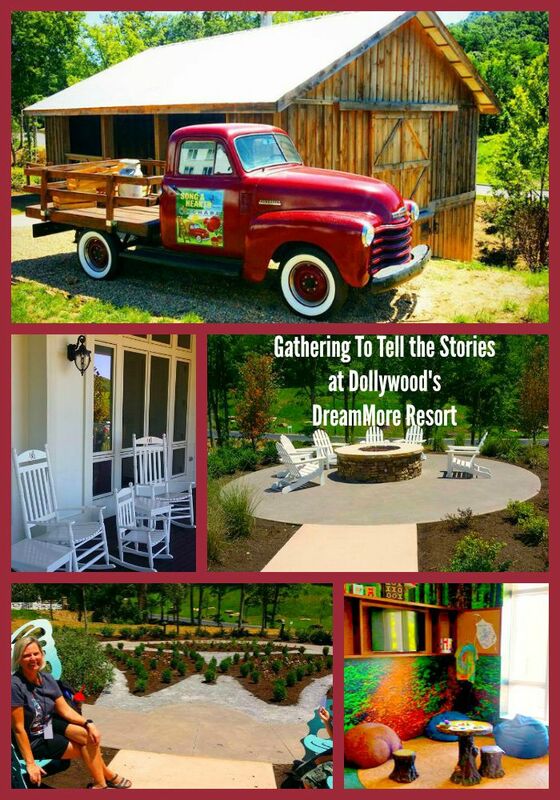 So she dreamed even more, and she spoke, and she wrote a book about this very thing, and she was inspired to finally create the resort of her dreams right in the midst of her mountain home in Pigeon Forge, right next to her Dollywood Theme Park…Dollywood’s DreamMore Resort. “Dreams are of no value if they’re not equipped with wings,” she says. Just like a butterfly…it begins as a caterpillar with dreams. And this is why Dolly has chosen it as the emblem of her Park, her company, her empire, her life. 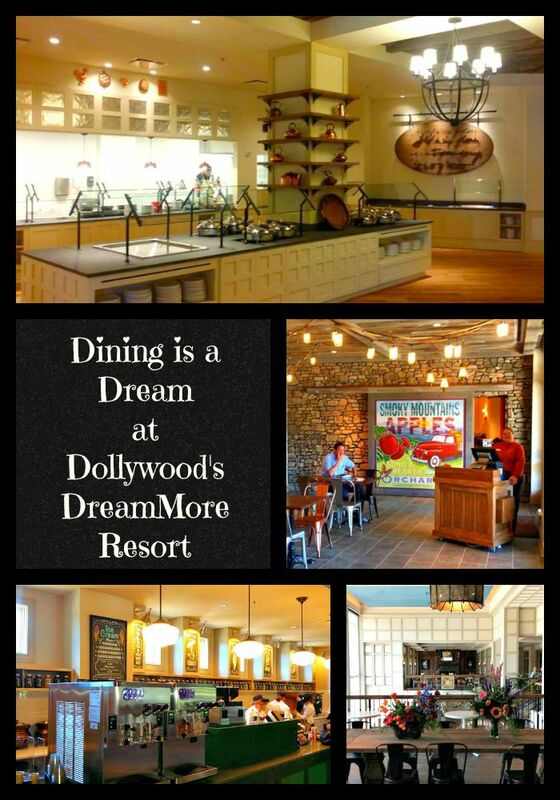 It’s everywhere you look at the magical Dollywood DreamMore Resort, too. 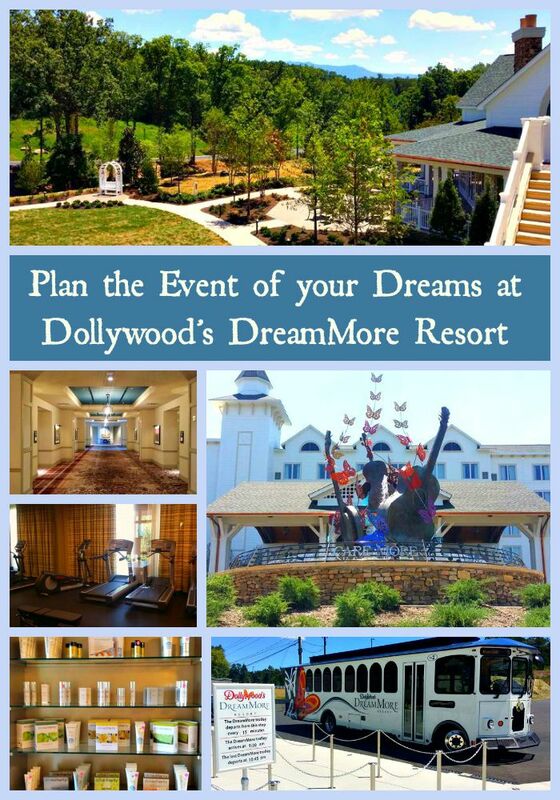 My Dollywood DreamMore Resort adventure began after a long, hot day at the thrill-a-minute Dollywood Theme Park. 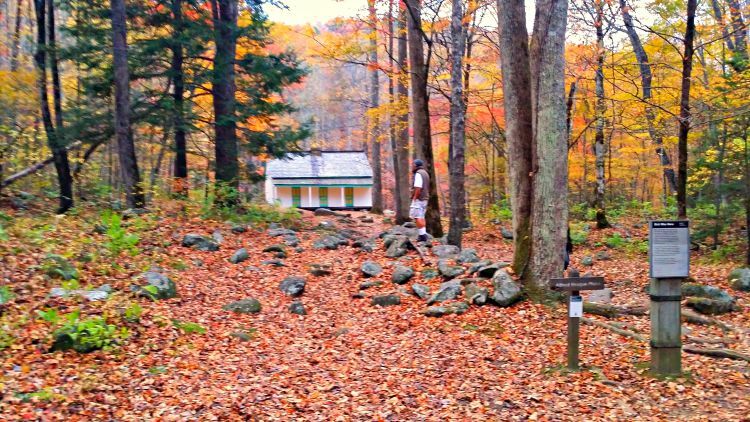 Our family was wiped out tired, but as we began the slow, winding drive up the hill to the beautiful resort, I was reminded of those long Sunday drives we took out in the country to my grandparents’ farm, and I immediately began to relax. At the top of the hill, past the barn and white fences, we drove through the farm fence gate, and were welcomed by the magnificent farmhouse-style building, with its sweeping covered porches, rocking chairs everywhere you looked, and beautiful gardens, water features, and mountain scenery. The style of the property brings to mind the decorating style of uber-popular Joanna Gaines of “Fixer Upper” fame on HGTV. For those of you unfamiliar with that show, I think the best description of the property style can be described much like I would describe Dolly Parton herself: a rustic, sturdy mountain farm girl, dressed up in smart, vintage-modern industrial style, wearing a generous spattering of glitzy jewels and sparkling make-up, just to accentuate both the natural and, ahem, “enhanced” beauty already there. We drove up past the beautifully crafted fountain, inspired by Dolly’s DreamMore speech, to park under the fabulous porte-cochere , and were greeted by a friendly doorman who ushered us into the breathtaking lobby. We were immediately struck by the three-story high wall of windows with its incomparable view of the Smoky Mountains, including famous Mt. LeConte. To our right a huge hanging photograph of a laughing Dolly joyfully greeted us, and to our left the guest registration desk with its gorgeous moving mural of the mountains behind it awaited our arrival. Being a Tennessee mountain farm girl myself, I felt at home right away. Dolly’s touches are everywhere, but not overwhelming. Butterflies in the carpets are elegant touches, not gaudy at all. Rocking chairs inviting you to sit and dream, fresh floral arrangements with bright, vibrant colors…every touch seems well thought out and either extremely beautiful or purposeful. Grandiose, but not in a snobby way at all. Dolly is known for saying, “It takes a lot of money to look as cheap as I do”…and that might have you worried about your accommodations. But let me reassure, you have nothing at all to worry about here. Taste, beauty, and functionality reign. Dreamily decorated rooms are appointed with many special touches, such as fancy dressing mirrors in the bathrooms (be sure to check out the mirror for a special Dolly touch that only shows up after a steamy shower! ), full sized bottles of shampoo, conditioner, and cleanser, a hair dryer, flat-screen TV, refrigerator, and a hospitality tray with Starbucks coffee and teas. My boys were thrilled with the bunk beds in our room, which left room for a large, king-sized bed for mom and dad, instead of the standard size in most rooms. There are different styles of rooms from which to choose, all sleep up to four (4) guests unless otherwise noted: King Room (sleeps 2), King with Bunk beds, Double Queen, King with Queen Sofa Sleeper. There are also suites: Family, Poolside, Junior (sleeps 6), Reunion King, Reunion Queen (sleeps 6), 2 BR Suite (sleeps 8), and finally, the jewel of the hotel, Dolly’s Suite, a luxury penthouse suite for two. Day Dreaming – So Much to Do for Everyone! 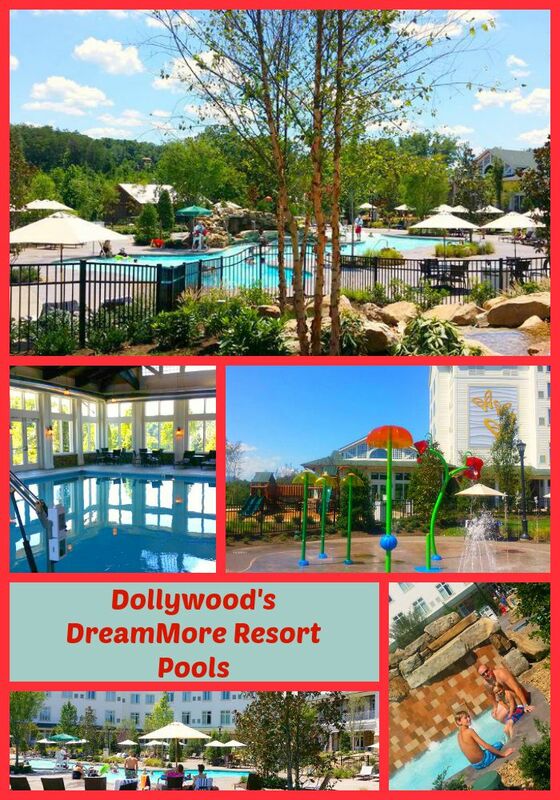 The Dollywood DreamMore Resort amenities provide plenty to do if you decide to just remain there for the day, which we did on Sunday after spending all day Saturday in Dollywood. The boys wanted to go back to ride more attractions and see more shows (they loved the “Gazillion Bubbles Show”! ), but I had come down with a little cold and needed to rest. So, I got to relax by the pool while the boys found plenty to keep themselves entertained. For kids and young at heart, there are two swimming pools. The indoor pool is surrounded by mountain views from its walls of windows, and is also perfect for swimming laps. The outdoor pool includes zero-entry, a splash pad, a “lazy river”-ish area (more like a little mountain stream that pushes you through a little region of the pool with water squirting all around), and a spacious hot tub with waterfalls. My youngest also enjoyed a playground area located between the pools. 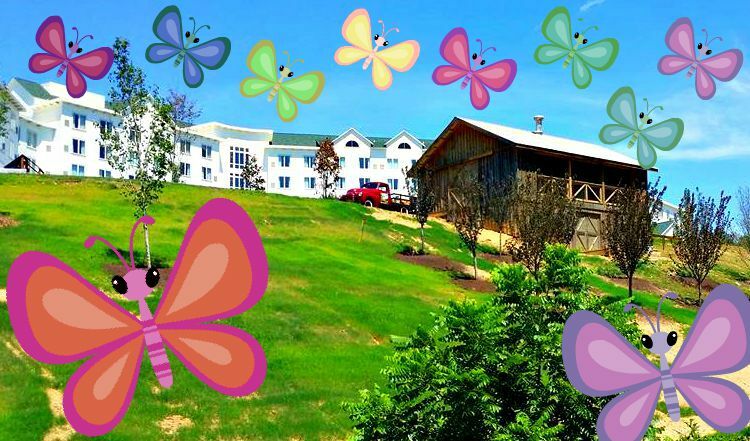 And Dolly’s love for children, as evidenced by her philanthropic work such as Dolly Parton’s Imagination Library, is also on display in Camp DW, a kids club for children ages 4-10 at the Resort. Providing arts, crafts, nature walks, storytelling, outdoor and indoor play, Camp DW inspires children to learn, do, care, and dream more. Families and small groups can also enjoy time together in any of the small gathering areas throughout the resort. There are porches with rocking chairs, several outdoor fire pits for roasting s’mores and telling stories, and a quaint little barn out behind the pool with a cozy fire pit, chairs, and string lights hung in mason jars – the perfect spot to relax during a summer rain storm or to take in the seasonal autumn splendor (I can’t wait to go back during the Fall!). You have no need to leave the DreamMore Resort with an empty stomach! We found The DM Pantry very convenient for grab and go goodies, popping in for drinks, including Starbucks coffees and teas, ice cream cones, sandwiches, salads, and snacks. And I want to redecorate my kitchen in this same style! For breakfast and lunch (and also open for dinner and lounge services soon), you can’t miss the Song & Hearth which offers family style dining with southern flair. The dining room is decorated with beautiful hanging quilts and quirky touches such as rolling pins hanging on the wall, and black iron kettles repurposed into a magnificent chandelier. The breakfast, which was reasonably priced, was served buffet style, and had everything we could imagine – omelet, pancake, and waffle stations, grits, oatmeal, fresh fruit, eggs, bacon, sausage, biscuits, gravy, hashbrown casserole, fried potatoes, and more. The boys and I were stuffed within minutes, and my husband wanted to camp out there all day. For events, such as parties, receptions, reunions, weddings, business conferences, etc.., you have many choices – outdoor event lawns, dining areas, and a conference center with several choices of ballrooms, conference rooms and patios that can be customized to fit your needs. Catering and audiovisual aid services are also available. I could imagine what a great setting this would be for a destination wedding, with all of the many activities of Dollywood and the Smokies nearby for your guests. 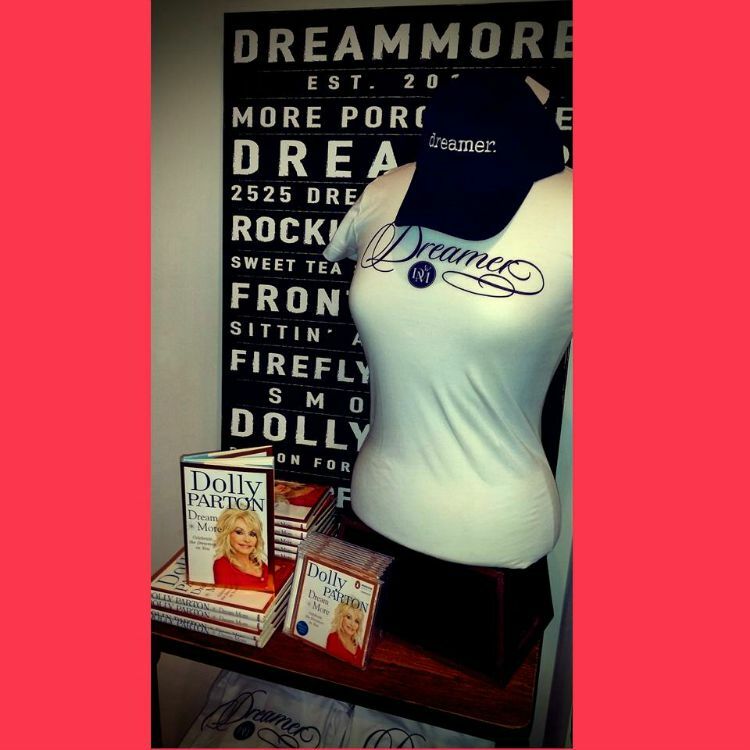 Adults will enjoy other amenities such as the fitness center and the Pokeberry Gift Shop, where you can buy Dolly’s book, “Dream More: Celebrate the Dreamer In You”, candles, t-shirts, food items, and more. And I’m looking forward to going back soon to visit The Spa, which will open soon. Treatments such as the “Signature Songbird Massage”, “Pink Lemonade Fizz Pedicure”, or the “Cotton Candy Creation Facial” for teens look worth a try, especially if they’ll help me look as young and vibrant as Dolly! I did get to walk through The Spa, and it is beautifully decorated – just the right amount of glitz and glamour, as you would imagine comes from Dolly’s dreams, along with calming rooms and soothing water features for relaxing alone with your thoughts or with your friends. Complimentary TimeSaver Pass (up to $25 value per guest per day) – allows you to reserve access at select Dollywood rides, shows and attractions. Early Saturday Entry – Be the first on your favorite Dollywood Theme Park or Splash Country attractions on Saturday mornings. Complimentary Package Delivery – in-room delivery for Dollywood Parks’ shopping purchases. Resort Perks – Complimentary Wi-Fi, exclusive resort entertainment and dining experiences, and complimentary resort parking. Finally, I can’t end without mentioning the employees – old, young, country-folk, city-folk – all extremely friendly, helpful, courteous, kind, and extremely well-trained. Their service was natural and heartfelt, not rehearsed or pretentious in any way. We felt more like we were being doted upon by our grandparents, aunts and uncles than waited upon by strangers. This kind of service and friendliness is evident throughout all of Dollywood – the parks, the resorts, the entertainment venues. It’s a part of the experience you’ll never forget and continue to talk about for years to come. 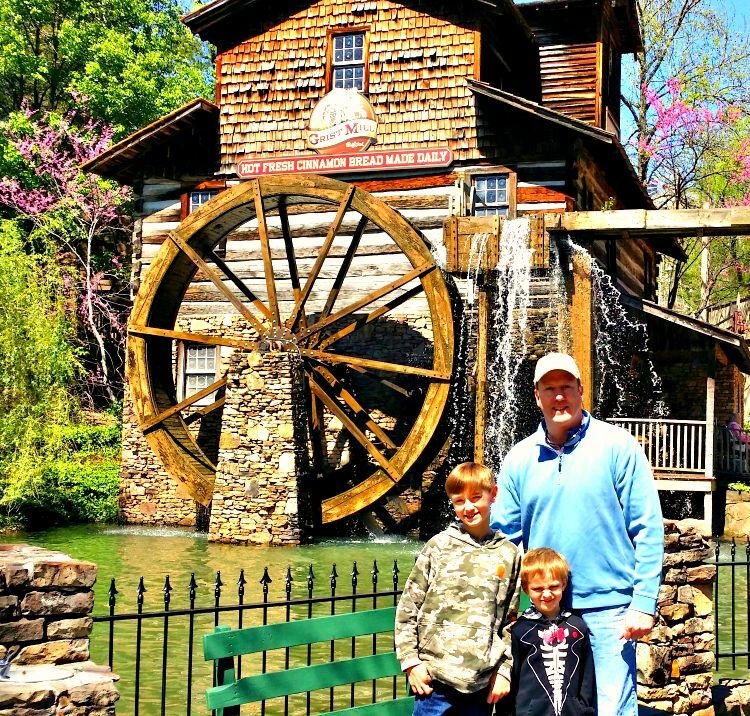 The busy season in the Smokies will be upon us soon because there is so much to do in Pigeon Forge and Gatlinburg in the Winter Holiday Season, so you should make your reservations soon! 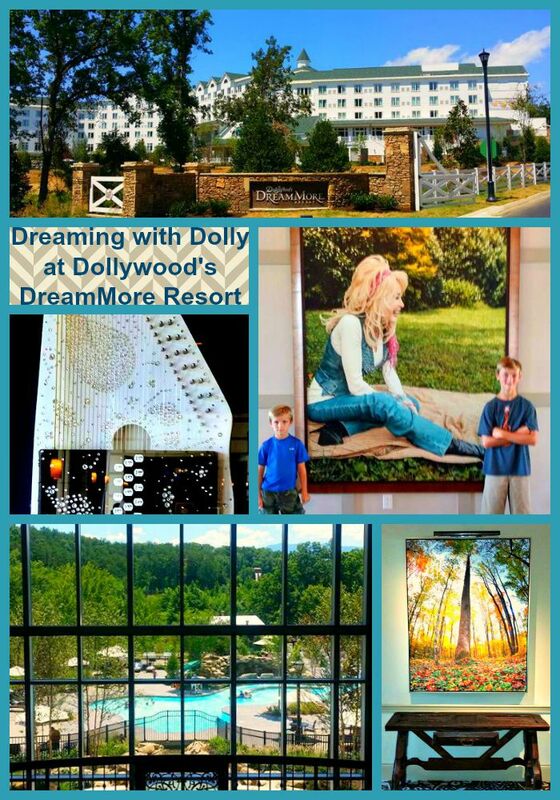 307 rooms at Dollywood’s DreamMore Resort, including the special Dolly Parton Suite, can be booked now for your own dreaming by visiting the website, www.DollywoodsDreamMore.com, or by calling 800-365-5996. 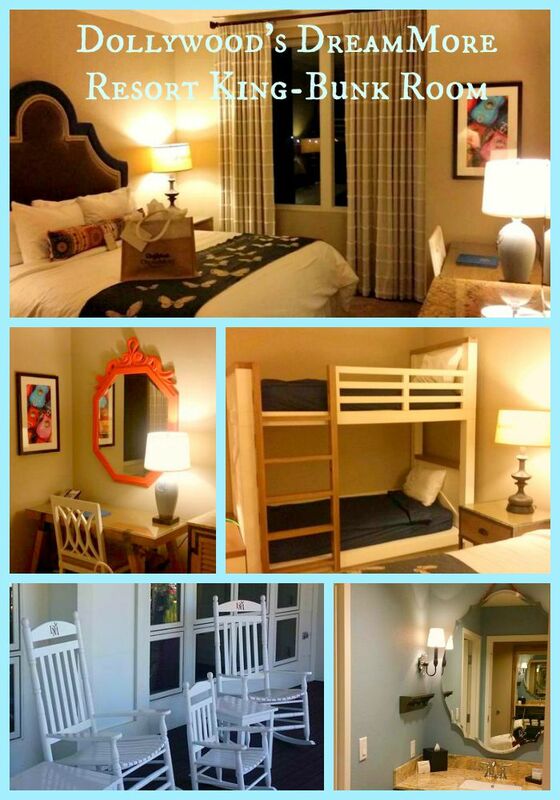 The Dollywood Cabins are another excellent option for accommodations, especially if you have a large family or group. Note: The quotes from Dolly Parton have appeared in various media, including but not limited to her own books, books by other authors, articles in publications including Reader’s Digest, from Ms. Parton’s Twitter feed and in posters and art throughout the resort.